This story may well seem to be too far fetched to be true but I am assured that it is the real McCoy. See what you think. It's about the power of the pendulum and how nobody is safe from what it can reveal. The star of the story is a young married woman I will call Ann. 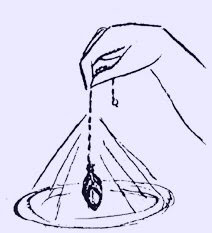 She had often used a pendulum for dowsing but decided to try and use it for something that was worrying her greatly. She thought her husband may be having an affair and wanted to know if this was true or just a figment of her imagination. Something about his supposed business trips to London had unsettled Ann so she got out her pendulum to try and discover if her husband was misbehaving. Ann got a series of London maps and started off with one that covered the whole of the area. While holding her pendulum in her right hand she started to work her left forefinger across the map in a methodical fashion. As she did so she pictured her husband clearly in her mind. For a while nothing happened but, as she moved her left finger over Holland Park, the pendulum reacted and changed from a steady swing to a gyrating motion. Ann now got out a map that covered Holland Park in greater detail. 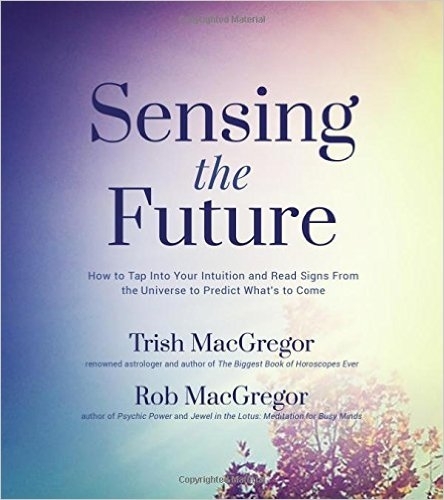 She followed the same routine until once more the pendulum stopped swinging and started a circular movement. She then moved to and A to Z street map and was able to pinpoint an exact street with the aid of her pendulum. Absolutely confident of what she had found out (i.e. a street in London) she caught the next train to London and made her way to that particular street in Holland Park. Once she had located the street out came her pendulum again and, ignoring strange looks, she walked slowly along the street until it oscillated again in a clockwise circle. She found herself outside of an hotel. Ann made her way to reception, where she sat and waited. About an hour later, out of the lift, walked her husband and his girlfriend. Needless to say a confrontation followed. To put it mildly Ann said she was 'bloody angry'. Later, once the air had cooled a little, Ann told her husband how she had found him. Ann said, "When I explained how I had tracked him down he refused to believe me. He was certain I must have used a detective. But when you know how to use a pendulum you don't need a private detective." Uh Oh, this skill/technique could put "Philip Marlowe's" out of business! I bet knowing this about his wife cooled hubby's wandering jets for a bit! I'd like to think the story is true, it came from a good source. What a great story. Oh, those pendulums! You're right, Musing, it really would put marlowe and sam spade right out of business.